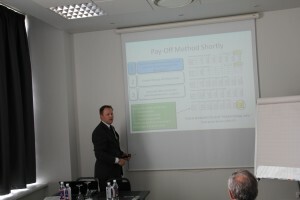 Mikael Collan presented the pay-off method at the XXV EURO Conference on Operational Research held in Vilnius. 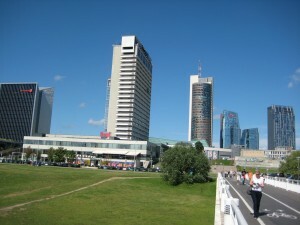 The presentation was held within the stream “Fuzzy Sets and Soft Computing” also organized by Mikael. 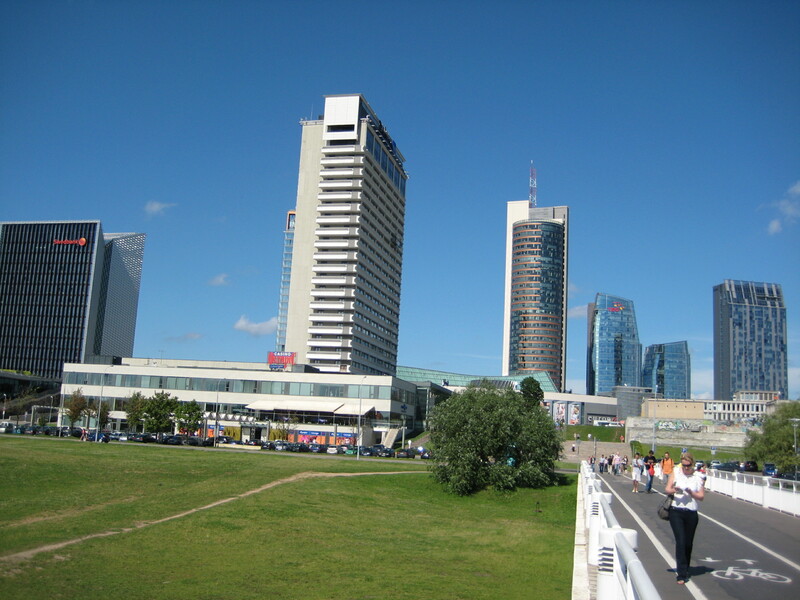 In the picture below the main venue of the conference the Radisson SAS hotel in the centre of Vilnius – the picture is taken from the walking bridge over the river Neris that flows accross the city. 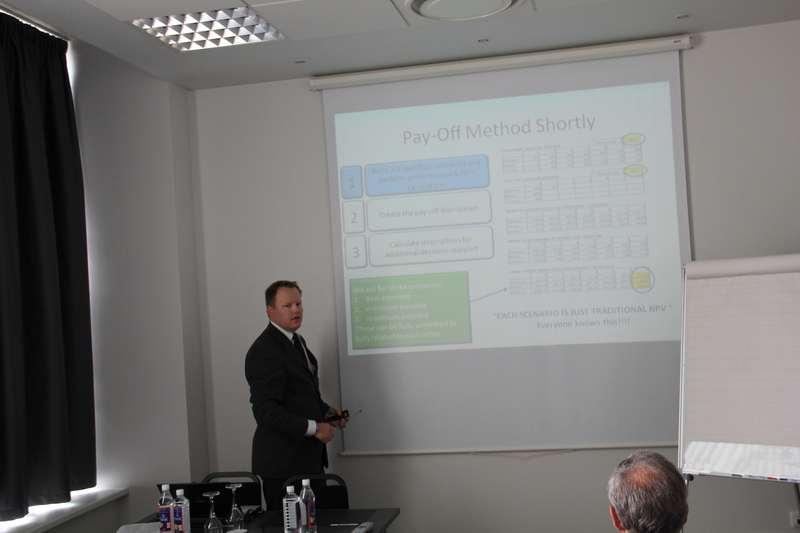 The presentation was about quantifying investment project profitability with the pay-off method (abstract below). One positive thing about the presentation was that the small auditorium was packed to capacity. The “other” model of the author of the pay-off method that considers and theorizes on how we select solutions to our problems, the Lazy User Model (LUM) a.k.a. Lazy User Theory of Solution Selection now has a site of its own. This model is an attempt to understand also the commercial chances of new technologies and products – solutions in general. Weather or more precisely the scientific study of the atmosphere – meteorology is an interdisciplinary field that seems to study anything and everything that has to do with the atmosphere. One thing that meteorologist study is the forecasting of tropical storms and hurricanes. Now, the key word “forecasting” brings us to our topic – the pay-off method and the weather. Weather forecasting in the modern sense means the collection of quantitative data about the current state of the atmosphere and the application of scientific methods and technology to predict how the atmosphere will evolve. Now isn’t that kind of interesting… and surely enough the same kind of methods are being used for both, for weather forecasting and forecasting the (financial) markets.There are elaborate mathematical models for the forecasting of weather and the financial markets, run by supercomputers and data and inputs are collected 24/7 and automatically fed into these systems. There is a difference though: atmosphere is not a man made system, but the financial markets are. Already during my lifetime the reliability of weather forecasts has become vastly better, these days the weather forecasts seem to be mostly right, the inaccuracy having to do with more on the timing of events (when it starts raining) rather than with the events (rain) taking place at all or not. But there are still sometimes days, when rain was forecast, but the skies shed nothing. We can all have our own opinion about the reliability of the market forecasting (economic) models. My gut is that they are not as good in prediction as the meteorological models. This may be due to the fact that the weather is more predictable than the markets (as it is a natural phenomenon and cannot be affected by humans on the short term). I had a crack at that discussion in an editorial posted here in January – surely a slightly polemical editorial, but with the best of intentions (that pave the way…). Well enough about that… what else is there, of interest? These forecast cones are obviously of little use if they are presented only as numbers and especially of no use if they are presented without the context – what this means is that the good way to present the data is to visualize it, that is to “draw” the cones and preferably on a map background. Visualized they immediately tell us who should start thinking about finding their way to the basement. The forecast cones are obviously the output from the forecasting (computer) systems that house the complex atmospheric models and they are updated as new information arrives. To be able to understand the accuracy of these predictions the NHS tells us that “Based on forecasts over the previous 5 years, the entire track of the tropical cyclone can be expected to remain within the cone roughly 60-70% of the time.” Link to some more info about the cone from NHC site. I don’t know about you, but to me the cone looks similar to the “accumulation of the net present value scenarios” graph used in visualizing the intermediate results in connection with the pay-off method. We can also call this the” project NPV cone” – or “the cone of uncertainty for the investment project”. Even the “logic” of the two looks (and should look) the same: the further into the future we go, the wider apart the sides of the cone (minimum and the maximum possible outcomes) are from each other – the width of the cone grows the further into the unknown (further away in time) we try to forecast. Now why did I get excited? The storm forecast cone is easy to intuitively understand and it is being used to report relevant important information by a US government agency to millions of people on-line 24/7. The fact that the cone is an obviously “approved” visualization technique of the output from a mathematical computer driven atmosphere model (that most of us including me would not be able to understand at any detail without considerable study) that allows all of us to understand the output in seconds is just wonderful. To me this is a corroboration of my thoughts about the benefits of visualizing the accumulation of the net present value (NPV) of a project in the way that the pay-off method likes to do it. It enhances the understandability of the possible “path” of the potential investment, while “honestly” showing the forecasting inaccuracy and that it grows the further into the future we try to forecast. The moral of the editorial: Use the forecasted NPV cone visually to enhance understandability of the future of the investment and to support decision-making. 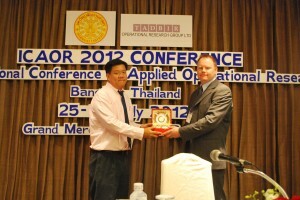 Mikael Collan held a keynote presentation in Bagkok, titled “Real option valuation as a modelling problem”at the 4th International Conference on Applied Operational Research (ICAOR). 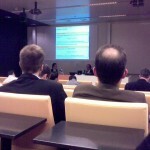 The presentation included an overview of the pay-off method. A pdf version of the actually used lecture slides are available here. 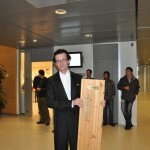 Mikael receiving a souvenir from the conference organizers after the talk. Abstract of the lecture can be found here. 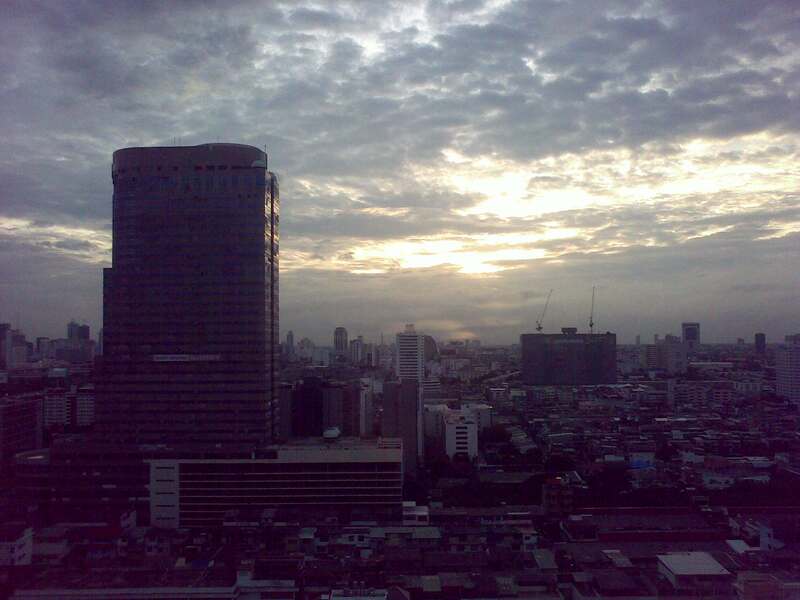 The city of Bangkok is evolving fast, only five years ago the city did not have a metro line from the airport or the underground that conveniently gives access to most locations within the city center. It seems that phased construction is beginning to be (if not already is) a relevant option to consider when constructing in Bangkok – see these slides. Bangkok in the evening from the hotel window (20th floor). There will be a keynote lecture about “Real option valuation as a modelling problem” at the 4th International Conference on Applied Operational Research, 25-27. 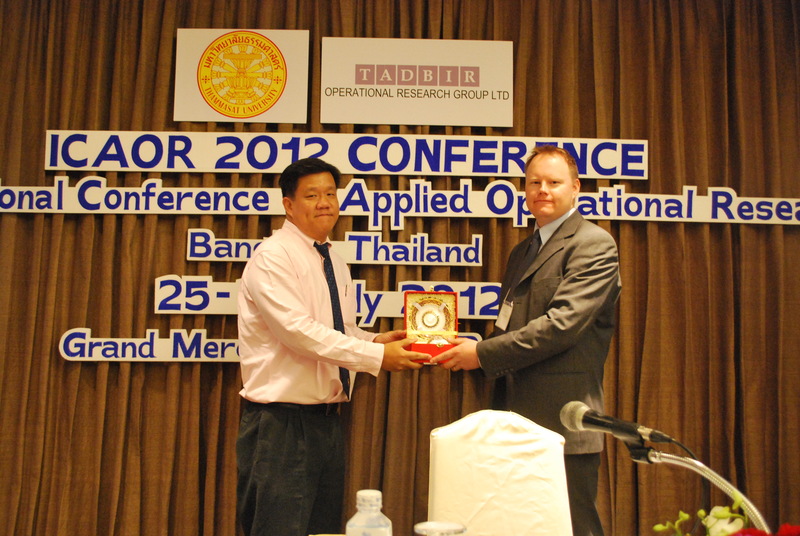 July, 2012, in Bagkok, Thailand. 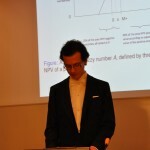 The talk will include an intro into the real option valuation logic and discussion about how different modelling choices can be used in framing the same problem. 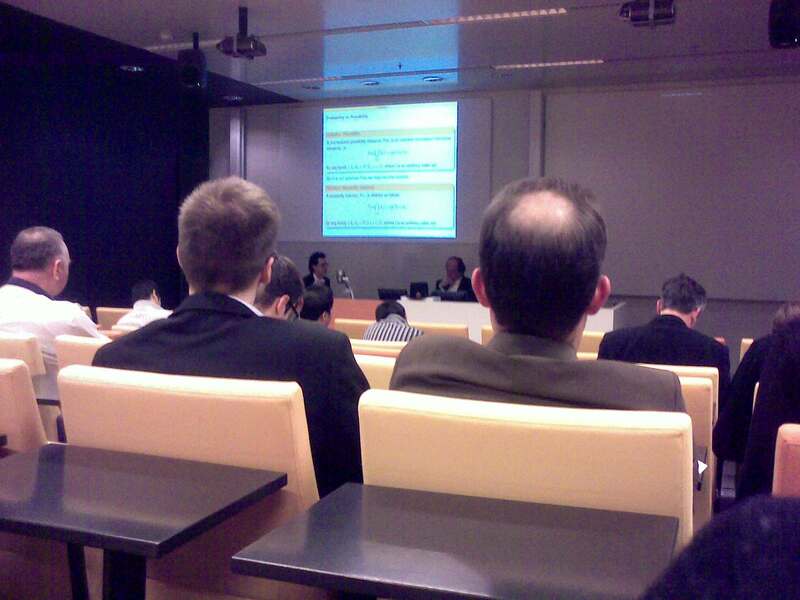 Pay-off method is also presented and discussed in the talk. A pdf version of the actually used lecture slides are available here. The first issue of the Journal of Real Options is downloadable as one file from the journal site. Follow this link to go directly to the download page. Editorial: Time Magazine article and some thoughts about how it might relate to the pay-off method. In the most recent issue ( Jan. 30, 2012) of Time Magazine, Robert Johnson, the executive director of the Institute for New Economic Thinking in New York City, writes about the (crumbled) credibility of economists and economic models. He brings up not only the mistrust and discontent of many students of economics, but also points out the overall demise of the authority of economists everywhere in society. Johnson brings up four important issues that should be fixed in order to remedy the situation. First, he points out, “economists should resist overstating what they actually know” – referring to the philosopher John Dewey, who called it the quest for certainty in 1929 – in the midst of the great depression, and said that: “Quest for certainty is a dangerous temptress”. This is exactly in line with what the pay-off method tries to do, show uncertainty to the decision-maker in a way that the “false sense of certainty” is not conveyed. Showing the pay-off distributions and not only the single number expected or real option values is key in this effort. Also the cumulative net present value graphs of the different scenarios are a tell-tale part in showing how the NPV is accrued over time and what is the distribution of the pay-back time in present value terms. Second, he observes, economists should recognize the shortcomings of high-powered mathematical models (which are not substitutes for vigilant observation). Johnson also cites Kenneth Arrow who said: “The math takes a life of its own because the mathematics pushed toward a tendency to prove theories of mathematical, rather than scientific, interest”. Also Frank Knight observed that radical uncertainty, prevalent in times of crisis, means that expectations cannot be anchored as they have nothing to latch to. Interestingly, just an issue before the latest one, of the same Time Magazine, a story told about French quants and them being greatly overrepresented in the investment banks of the world, with a quarter or more of quants being French and about how financial mathematics has fallen out of grace in the Paris top universities. Obviously the financial shocks and the Black Swans as Nicholas Nassim Taleb would call them are real and give the models a bad name – not only give them a bad name, but actually prove that they do not work in turbulent times. Third, Johnson discusses about introducing the context back to economics (modelling). Indeed if the mathematical models used to drive economic (and financial investment) decision-making are not based on the real world context then they are based on something that is really not of relevance. Objective, Cartesian, approach to economic models may work in theory, but if they work in practice is anybody’s guess. Context is in the heart of the pay-off method; it is partially because of the will and the need to include context in a simple way the model was built. Assuming things and believing that “the market is like the assumptions say” is just plain ignorant. By using the know-how and expertise of the managers about the markets and the firm that owns the real option we can get just that, context, in their estimates for cash-flow scenarios. Fourth, he argues economists must acknowledge the relationship between politics and economics. New papers with a full paper PDF download link have been added to the citing papers list. 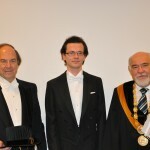 József Mezei defended his D.Sc. 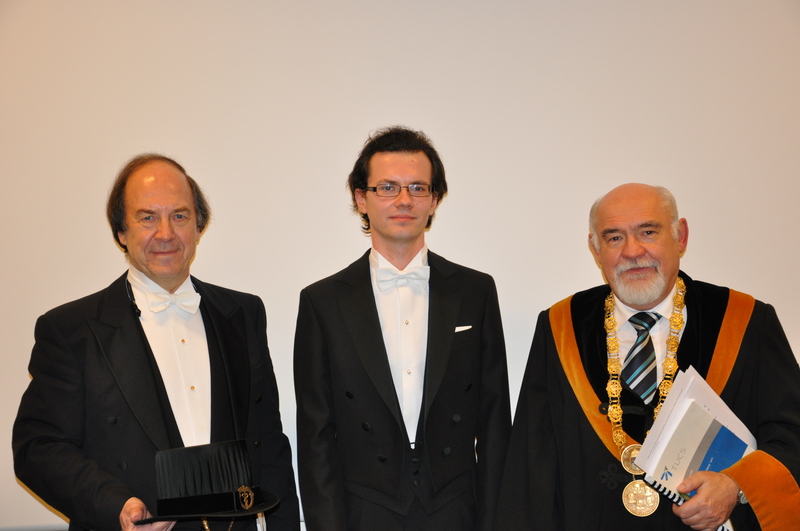 thesis successfully today in Turku. The defence drew a nice crowd and the lively discussion between the candidate and the opponent, Prof. Rudas from Obuda University in Budapest, Hungary was nice to listen to. 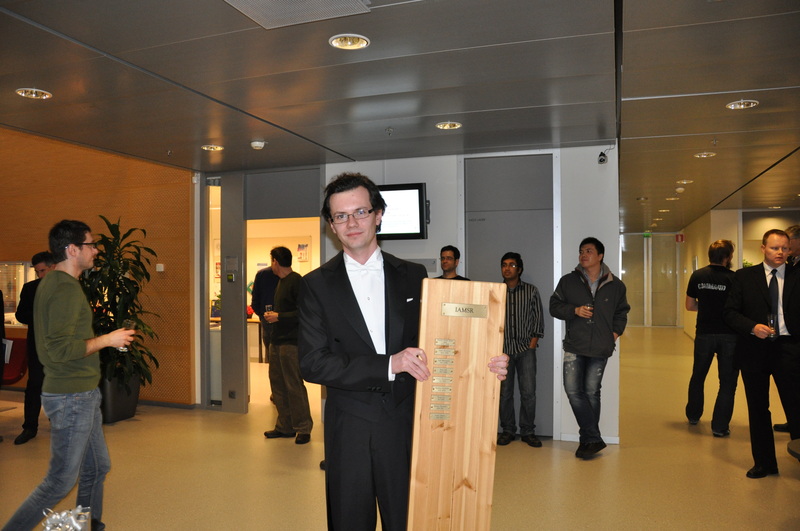 Some images from after the Defence. 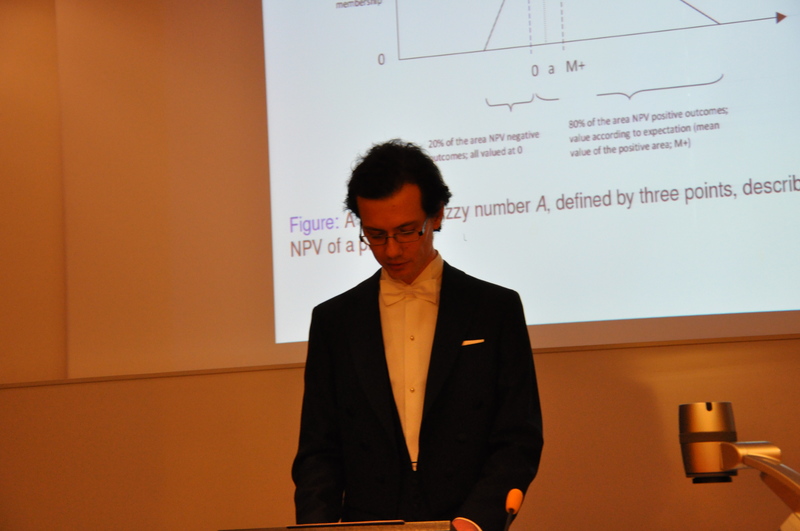 Photos by Yong Liu and Mikael Collan (from during the dissertation).